Worried about radiation levels? I’m not, but I still want to build one of these. 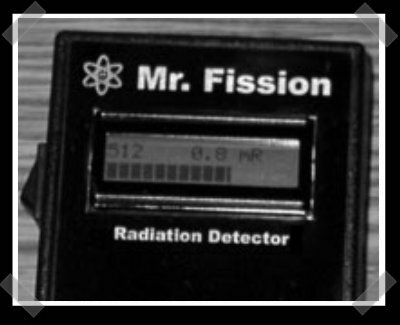 Mr. Fission here was built by the same guy that’s behind the OpenTracker project. [Scott] based it on the Bargraph Geiger counter built by [Russel E. Cliff]. Both use a standard Geiger tube like the LND712. The tube works with high voltages – easy enough with older electronics, but it’s a slightly tougher challenge with todays low voltage gear. [Scott] used the high voltage power supply from the original project, and built the rest around a good ol’ Motorola HC86 series processor. [Scott]’s idea of using an inverter supply designed for a cold cathode lamp is definitely an interesting one. There’s lots of russian geiger counters for sale on Ebay for about $25. I got one of these and they’re awesome! They present an audible click every time a count is detected. It’s like a horror sci-fi movie when one of these is brought near a radiation source. The AA battery lasts a couple of days of continuous usage when detecting. I keep one in my truck while driving. So far, it’s only gone off once – it wasn’t the location and it wasn’t a solar flare (I checked that), so I’m assuming that a vehicle in oncoming traffic was carrying radioactive stuff. Good idea, just keep an eye out for a delorean spewing dry ice and that’s the culprit. #3: agreed. radioactive material is always most easilly spotted post time travel return trips. Haha. The reference to Back to the Future is cute. so a picture of a box and 3/4ths of a page of description. Perhaps following the link would help, ‘Man On Fire’. It provides an email address to get ahold of the schematics. He made a typo on the link to the original project. and before anyone jumps down my throat… yes I do submit hacks. The funny thing is my friend who drives a delorean had 50 pounds of dry ice in the passenger seat mixed with water spewing out smoke the other day. We gave him the extra after our highschool play.